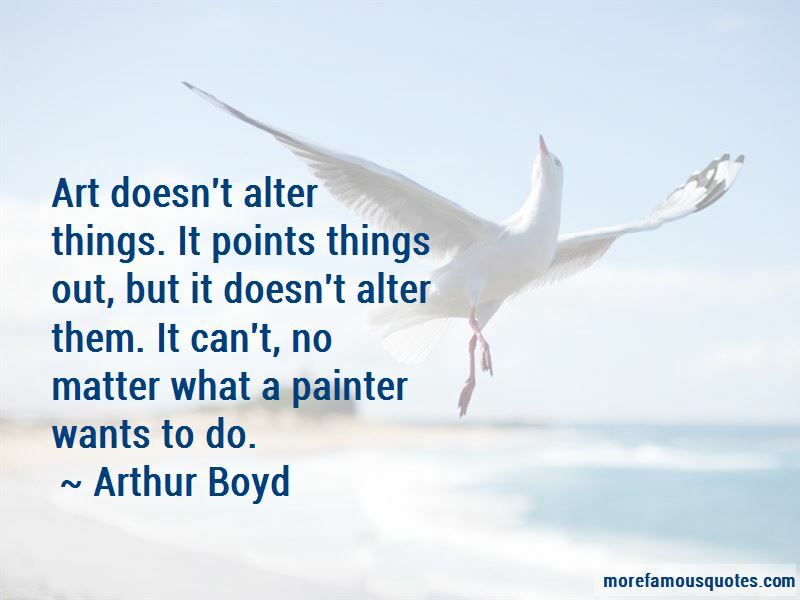 Enjoy the top 10 famous quotes, sayings and quotations by Arthur Boyd. 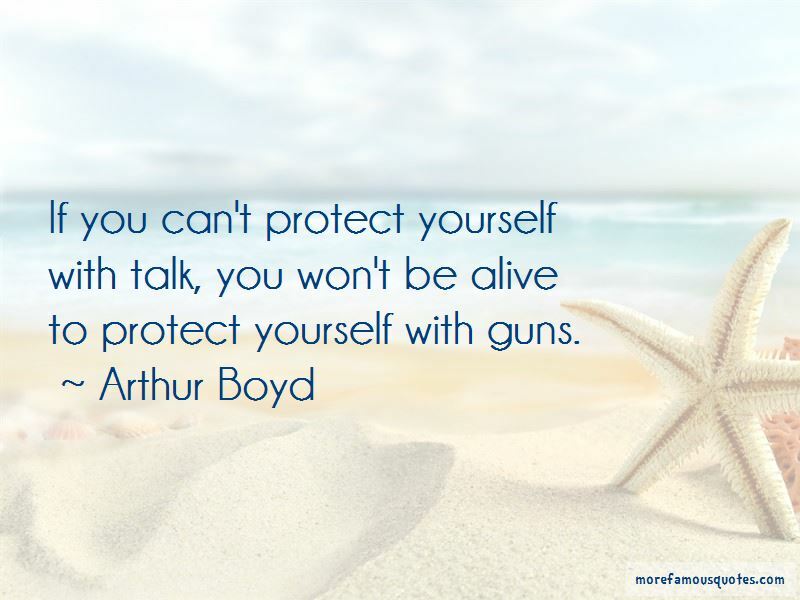 If you make a gun, you are either going to sell it or you are going to use it. And if you're going to sell it, someone else is going to use it. If I was whisked away ... I think I could put up with anything, except not seeing the Australian landscape. It would be a torture to have it cut off. 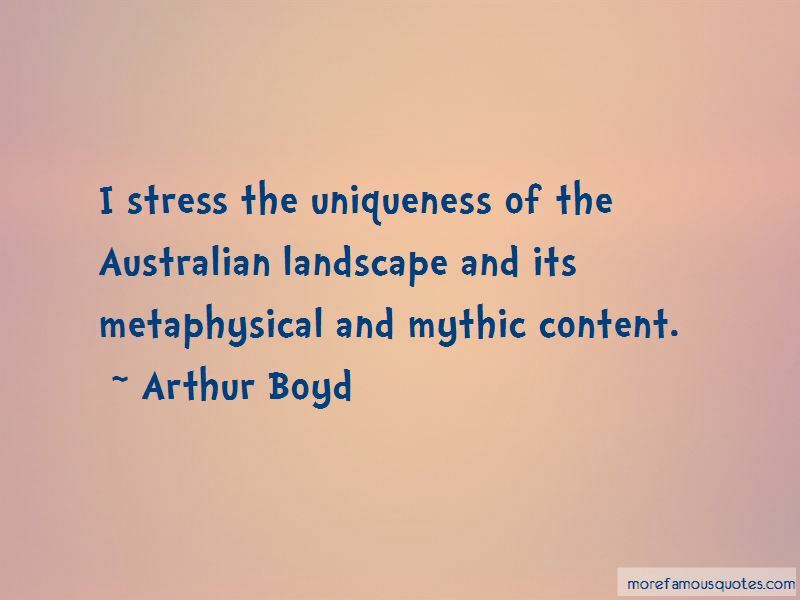 Want to see more pictures of Arthur Boyd quotes? 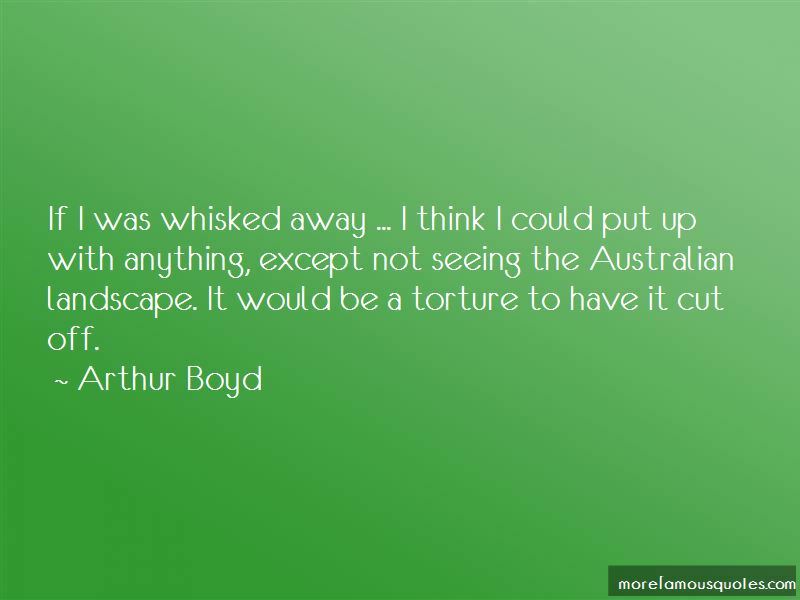 Click on image of Arthur Boyd quotes to view full size. “This day I call heaven and earth as witnesses against you that I have set before you life and death, blessings and curses.” — Anonymous.